The only one of its kind, this Suite offers guests an experience that they will remember forever. The Grand Canal Suite is 40 square meters, created within the original rooms of the building and characterised by its unique style. Made-to-measure furniture designed specifically for the GKK Ca'Arco Antico, like the stupendous gondola-shaped bath created by the designer Rossella Sblendorio, make this suite perfect for a romantic getaway. Warm colours and tastefully furnished spaces, where the Venetian style of the past meets with those of today, offering travellers a new kind of luxury experience. 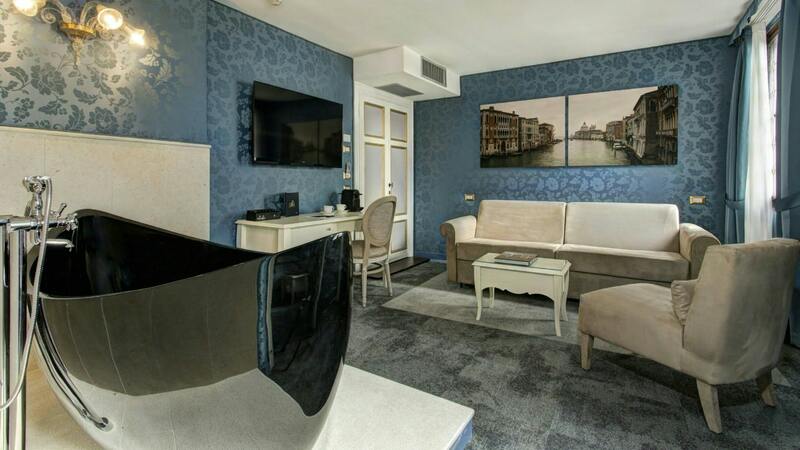 The suite consists of a spacious living area and a separate bedroom overlooking the Grand Canal, making each and every guest’s stay unforgettable.